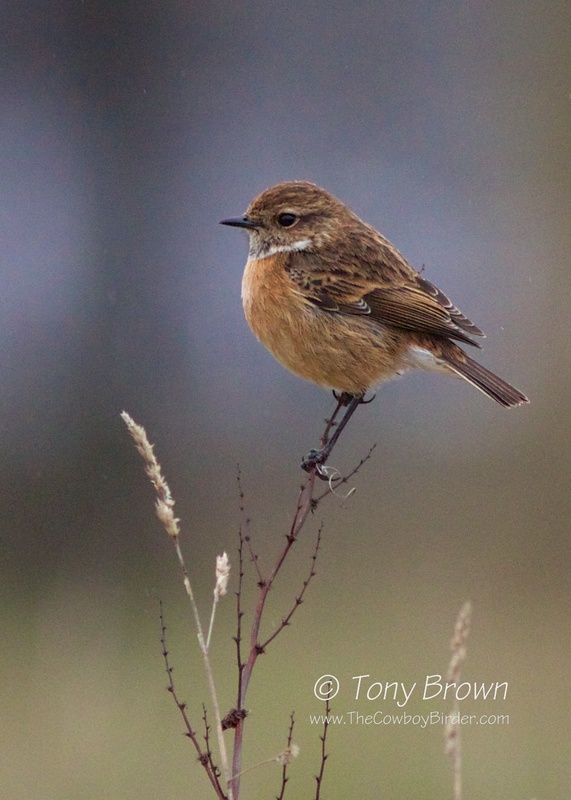 With news of the first arrival of Sand Martins and Northern Wheatears on our shores throughout the week I was chomping at the bit to get out on the patch today. The sound of a Chiffchaff was my first singing bird I'd heard this year, although I'm not convinced this counts as a true summer migrant as it was coming from the heavy cover of Alex Island and there had been a wintering bird here since the start of the year - it looks like it may have just found its voice. A female Stonechat made for a welcome sight in the Broom fields and was fresh into the area. 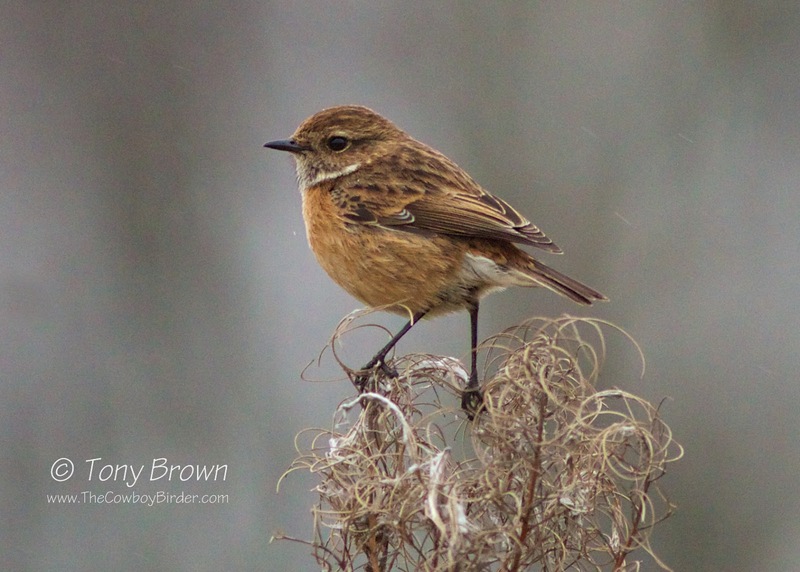 This bird, along with recent male and the other female Stonechat which overwintered near the Cat & Dog pond give us three different birds since the start of the year and bodes well for this species on the Flats, and further go to show the national upturn of this once fragile UK population. A noisy pair of Peregrine Falcons exchanged calls whilst flying over the Flats in the direction of the City and were the first birds I'd had this year, bringing the year list up to a less than impressive 67 and with Kingfisher and Little Egret still missing from that list I headed to park and along the river Roding in search of both, but yet again they continue to elude me. Although I failed to see any summer migrants it felt good to be out there today, and with the long Easter Bank holiday weekend on the horizon I'm sure the floodgates will soon be open with the sound of Blackcaps and Chiffchaffs ringing in my ears and the long awaited return of those magical white-rumps! 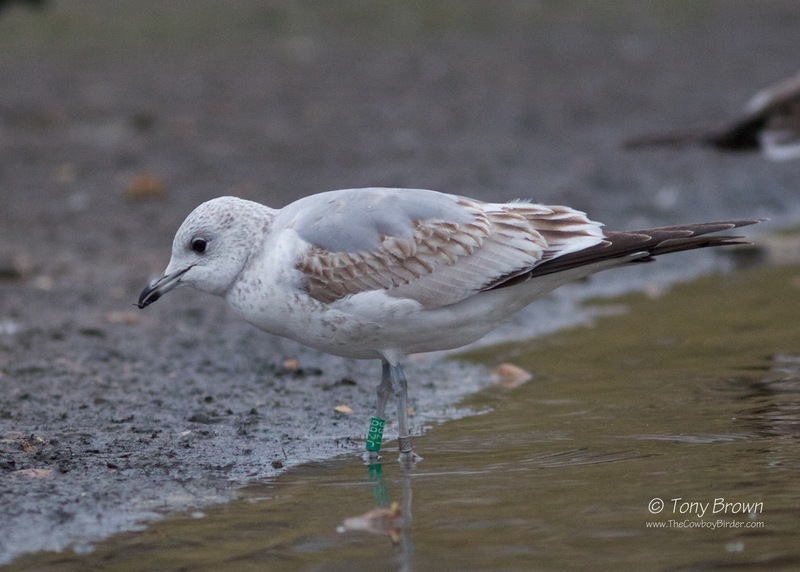 Also of note was a colour-ringed Common Gull (Green Ring - JZ66) along the edge of Alexandra Lake - this has now been recorded on the BTO web site and I await news of the birds history and movements. Smew - Plastic, like the Flamingo's?